Angela told us about why people don’t follow security advice (tl;dr it’s not always their fault! ), Alec about the “normalisation of the subversive” and encouraged us to keep doing work that is deemed useless and outright controversial as history will prove us right. Then David explained how sometimes the “good guys are the bad guys” and gave a bird-eye overview of the malware ecosystem. The talks concluded with Richard, who told us how we should reason about security “beyond the perimeter” and never take the eye off the ball as lots of security principles we learn are easily bypassed with improper threat modeling. 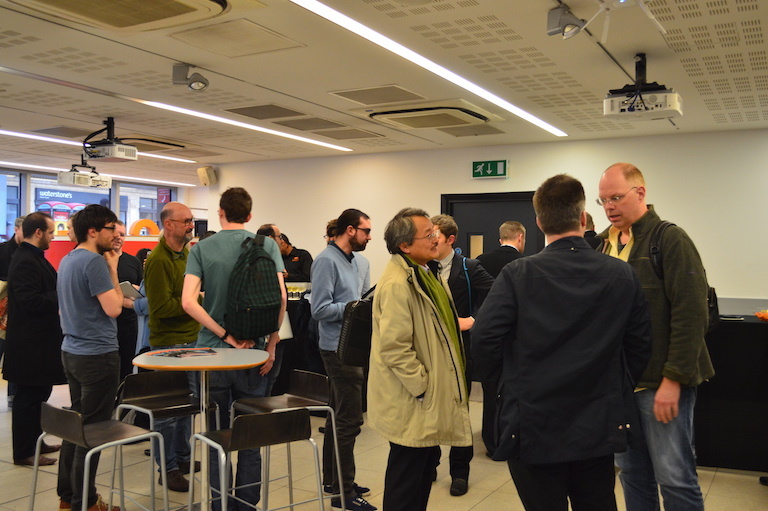 There was some very interesting discussion, both during the panel and in the following reception (thanks UCL-CS and S3 for the organization! 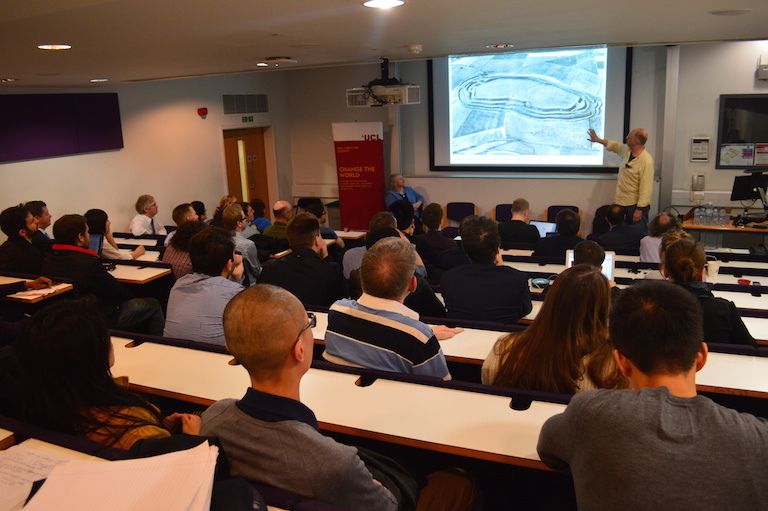 ), and I am very happy about the format, the turnout, and the significance of this experiment, so I am looking forward to more of such events. Thanks again to everyone who organized, talked, and participated. During the event, I also gave a short presentation to overview our programme. 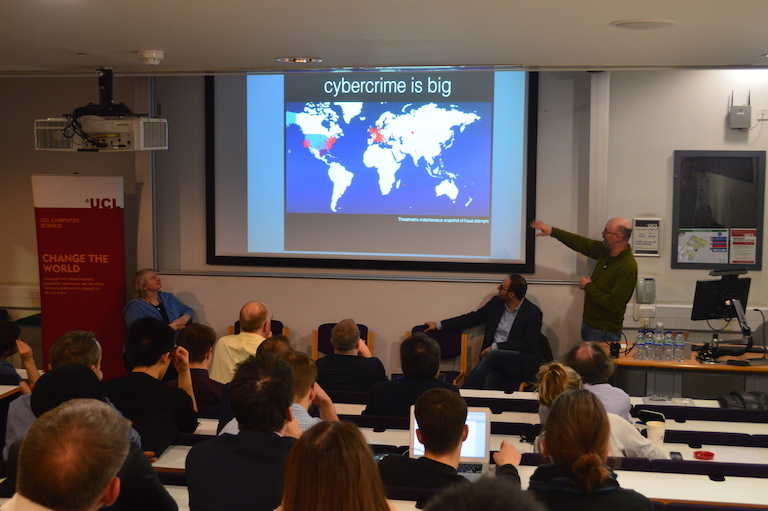 Why study Information Security at UCL? UCL (est. 1826) was the first English institution to welcome students of any race, class or religion, and female students on equal terms with men. Today it is a globally leading university with 29 Nobel Prize Winners and 3 Field Medalists. The Computer Science Department hosts 80 faculty and 300+ researchers, is recognized as Academic Centre of Excellence in Cyber Security Research, and hosts the Science of Security Institute, not to mention that it was ranked #1 in the recent REF. 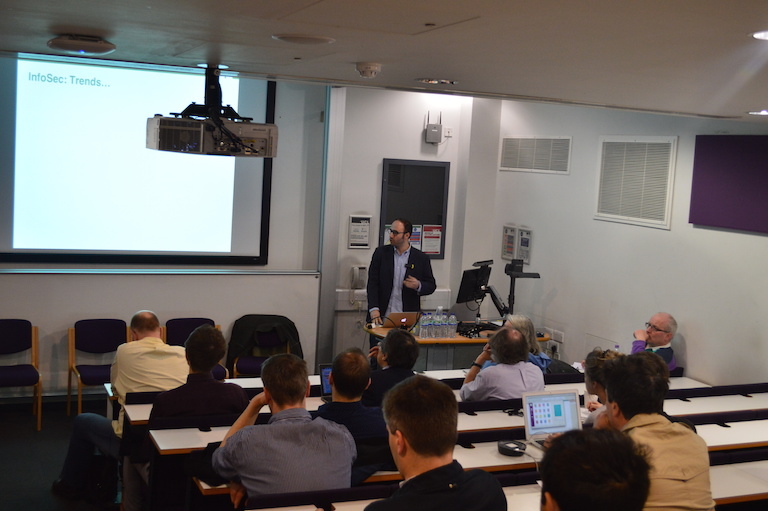 UCL MSc ISec is a pool of renowned academics conducting world-leading, high-impact research on all aspects of information security, ranging from network and computer security to cryptography, human-centered security, privacy, and cyber crime. However, students can choose up to two (out of the four optional) modules from other programs as well (e.g., Requirements Engineering and Software Architecture, Validation and Verification, Understanding Usability and Use, Human Computer Interaction, Communications and Networks, Entrepreneurship, etc.). The programme also includes a thesis involving an independent piece of research (typically yielding a 50+ report), which can also be complete while working alongside a company. While you can find more details here, we are typically looking for applicants with a computer science, engineering, or maths background. A successful student will have the ability to understand basic theory, understanding of algorithms and programming, good English language skills, and, most importantly, an interest in Information Security!